Regina Hall is ready for a Girls Trip sequel, but she’s ready to take the time to make sure it’s right. ET caught up with the 47-year-old actress at the premiere of her new movie, Support the Girls, in Los Angeles, where she said Girls Trip 2 is “a go” — after they get a few things in place. 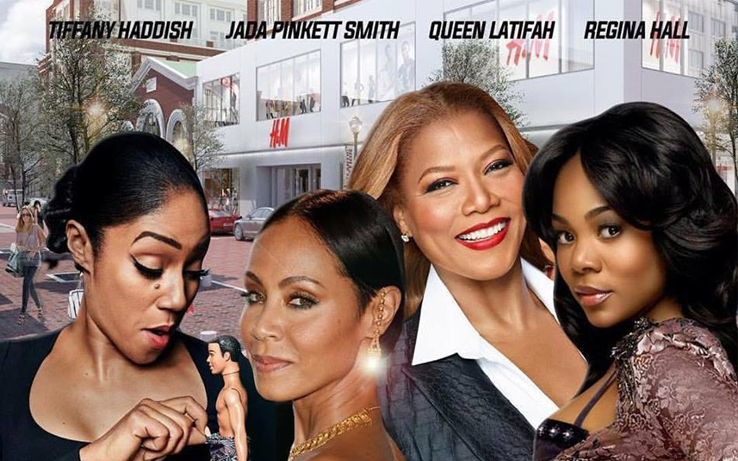 Jada Pinkett Smith was all about the sequel when she shared a fan-made poster to Instagram on Wednesday. Then Kenya Barris, who co-wrote the film with Tracy Oliver, reposted it, teasing the movie would release in 2019. The actress also opened up about the recent revelation that Niecy Nash was supposed to play Tiffany Haddish’s character in Girls Trip. The part went to the comedian when Nash turned it down, but Hall said there’s always room for a Nash cameo in the sequel. For now, Hall is focused on Support the Girls, which is more than just an innuendo. Hall plays the general manager of a sports bar that features skimpily dressed waitresses in the film that really is about supporting women.